SPRING DOUBLES TOURNAMENT Postponed THREE times! The Croquet jungle drums have been beeting and we learn that PCC mallets have been in action in these winter months. Heather Masheter and Michael Wiles have taken advantage of the Winter Tournaments at Hamptworth CC on the edge of the New Forest. They apparently attended both December events and, along with Rosemary Noel-Clarke, are booked in to play in February and March as well. And they are not the only ones: Hugh Crook & Chris Roberts have joined Helena & Mike Fensome on the entry list for the January Tournament on 14th & 15th. If anyone eles would like details of these enjoyable Tournaments, please get in touch with Chris Roberts 07973 787710. Tournaments at Hamptworth CC last weekend. the Saturday event and followed that with a 4th place on Sunday. Not to be out done, Helena Fensome (HC 2) repeated the family trick turning her 7th placing on Saturday with a runner-up spot on the Sunday. Helena beat Mike in their only 'head to head' encounter of the weekend and so has the crowing rights at home! The pair were joined by Chris Roberts (HC 1) and Hugh Crook (HC 8), the latter playing in his first Tournament away from PCC. Hugh finished a very creditable 8th and Chris struggled in to a lowly 14th. and will be joined by another debutant Rosemary Noel-Clarke (HC 9) - Read about how they get on on these pages in due course. Our pre-season meeting was held today and over 75 members gathered to hear exciting plans for the forthcoming season. 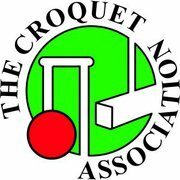 NEW - Croquet Association sponsored Golf Croquet 'B' Level SinglesTournamnent for the 'Smokey Eades Cup' - a TWO DAY EVENT. 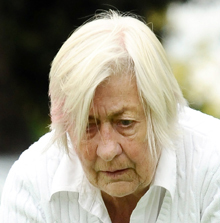 We are so pleased to be hosting this - it really does put Phyllis Court on the croquet map! NEW - Open Singles Tournament (anyone can enter). NEW - 5+ Singles Tournament (anyone with a handicap of 5 or more can enter). 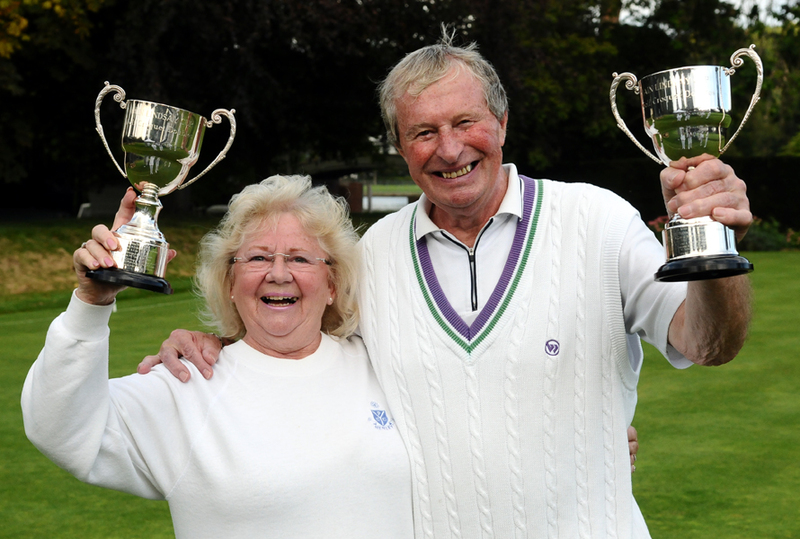 NEW - 80+ Singles Tournament (anyone over 80 years old can enter - born on or before 9th June 1932). A gentile day with inclusive afternoon tea. NEW - 'Olympics' Tournament (initially for anyone born out side England & we will have a draw to see who will represent England). 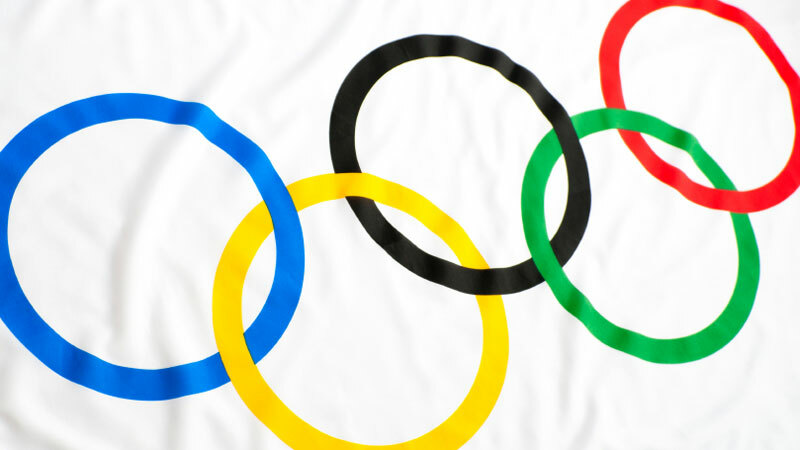 On the opening day of the London Olympics, come a celebrate with our own contribution to the 'five ringed circus'. Ann Norman (pictured right) is now the 'All Comers' represenative on the committee. All our traditional Tournaments will be played again this season - the 'Cave Wolfe', 'Iain Lindsay' & the three 'Drawn Partners'. Rule change - You can now play with the same partner in both the 'Cave Wolfe' & 'Iain Lindsay' Tournaments. All our Association Tournaments and Competitions remain from last season. 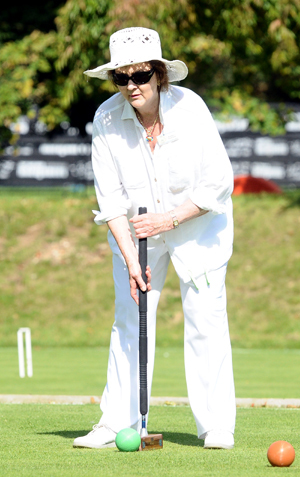 We have aproximatly 25 new members hoping to join Phyllis Court Croquet. and entertained us all with tails of how croquet all started at Phyllis Court - quite fascinating. 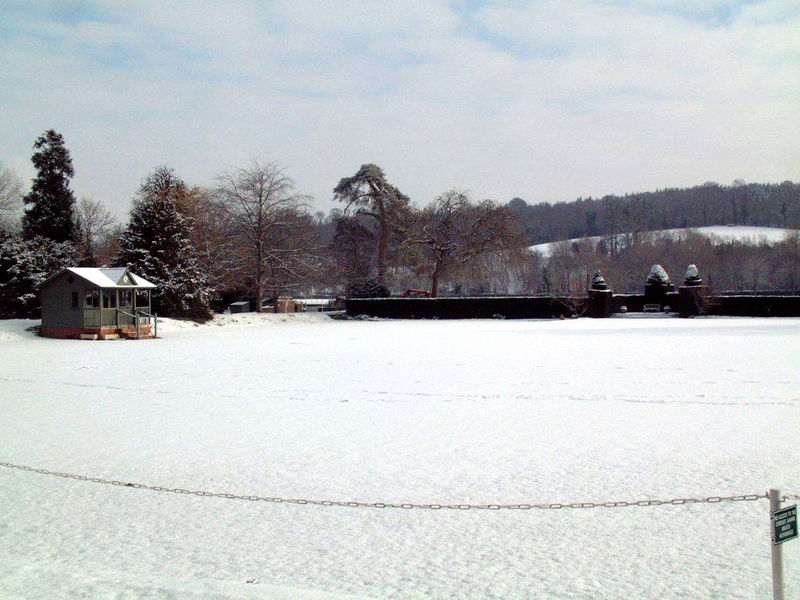 this weekend to keep up Phyllis Court's representation in their 'Winter Handicap Series'. Michael Wiles (7) and Heather Masheter (7) will be returning there too after enjoying their earlier weekend away in December. Hugh Crook (8) and Mike Fensome (now a 6 again) also took 'the plunge' to debut last month along side seasoned touranment players Helena Fensome (2) and Chris Roberts (1). Micheal Wiles and Heather Masheter were quick out of the blocks and were first to get their Season Long Competionton entries submitted. Both have entered all 6 competitions and Rosemary Noel-Clarke is not far behind in entering 4. We have also recieved three entries already for our Croquet Accociation 'B' Level Tournament on 17 & 18th August - PCC's own Mike Fensome plus our friends from Hamptworth, Richard Jenkins and Janet Trueman. - A great start! Why not send us yours? There was another good turnout for this latest off-season function which saw a flurry of activity with competition entry forms. All competitions are being well supported and it is especailly pleasing to see 'first time entries' being submitted - Well done you! Our CA Listed 'B' Level Tournament (Hc 4-8) is up to 12 entries now, 6 visitors and 6 from PCC. - Date change for our Summer Party! reduced down to a 5 - Congtaulations Mike! There was credit too for Rosemary Noel-Clarke, enteringing her first Tournamnet away from Phyllis Court - apparently she took a hoop off of Rutger Beijderwellen. Okay, so it's handicap play, but he is the UK no 6 ! 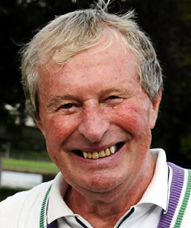 Chris Roberts was appointed as a National Croquet Association GC Handicapper today - more national recognition for Phyllis Court Croquet! Frances Colman & Chris Roberts attended our area Federation meeting at Winchester CC. 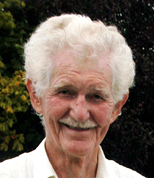 Both were re-appointed to their committee rolls as i/c Golf Croquet and Development Officer respectivly, and Chris was also appointed to the new roll of GC Handicapper. The Club have undetaken major works to drainage from the main building and car parks. It reamins to be seen if this will have a positive effect on our courts, which 'might' have been the recipients of 'run-off' waters last season. In any effect, the works will have done us no harm. A second contractor has now been engaged to quote for the courts drainage work which was highlighted in the ground survey that was undertaken in November. Any works that are deemed necessary, will be scheduled to commence as soon as our season closes in mid September. There is a thick layer of clay not far beneath the surface and it is thought that this is the main contributor to our drainage problems, particularly on lawn 2. A change to rain fall patterns in recent years from general drizzle to sudden flash downpours seems to be more than our ground can manage to drain naturally. The Surveying Company have quoted a very large figue indeed to fix the problem and negotioations with the Club management are on going. We are pleased to announce that we have 33 NEW MEMBERS who have joined us this season. Most are brand new to croquet and will undergo thier initial trailing on 12th, 13th, 16th 17th of this month. We also welcome Claire Appleyard who joins up from Blewbury CC and Lillian Bown-rees who is returning to the sport after a lenghty lay-off.